JUVÉDERM VOLUMA™ XC (VOLUMA) is the first hyaluronic acid-based dermal filler that has received FDA approval as a means of adding instant volume to the cheek area. VOLUMA employs the use of hyaluronic acid (HA) to immediately replenish lost facial volume in all three regions of the cheek (hollow, apex, apple). Hyaluronic acid’s hydrating properties preserve moisture levels in the skin and prevent the skin from becoming dehydrated (which can cause fine lines and wrinkles to appear more prominently). Although hyaluronic acid is produced naturally by the body, HA levels decrease with age. Fortunately, however, VOLUMA injections are uniquely designed to restore ideal levels of hyaluronic acid, thereby restoring lost facial volume and providing patients with a youthfully rejuvenated facial appearance. 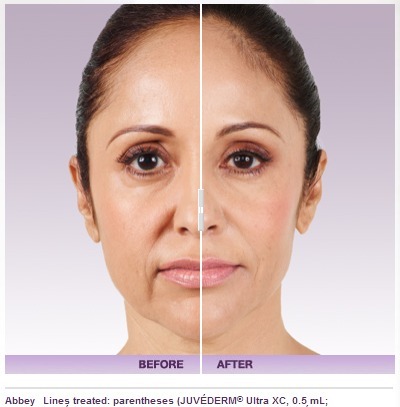 VOLUMA creates a subtle, yet powerful lift for the facial contours, refreshing one’s facial appearance with results that can last up to two years (intermittent maintenance treatments help to preserve long-lasting treatment results). VOLUMA (as with all products in the JUVÉDERM® family of fillers) can safely be used on patients of all races and ethnicities and does not carry any risk of hyperpigmentation or hypertrophic scarring, nor does it require pre-treatment allergy testing, because the hyaluronic acid in JUVÉDERM® products is derived from non-animal sources. Dr. Suzanne Quardt (Dr. Q) is a Board-Certified plastic surgeon with years of experience performing dermal filler injections and other non-invasive anti-aging treatments. Dr. Q has the skillset and medical knowledge necessary to ensure that you achieve the best possible results from your VOLUMA injections, and that your treatment is performed in a safe and professional environment. Dr. Q will listen carefully to your aesthetic concerns, and will design a customized VOLUMA treatment plan to ensure that your cosmetic goals are effectively fulfilled. Your VOLUMA treatment will be performed on an outpatient basis, and typically takes only 15-20 minutes, after which you may return to your normal daily schedule; however, for the first 24 hours you will be advised to avoid consuming alcohol or participating in strenuous exercise, and to limit your exposure to the sun and heat. For your comfort during and after your treatment, VOLUMA has been infused with a local anesthetic (lidocaine). Although most patients tolerate VOLUMA very well, temporary side effects of VOLUMA injections may include: redness, firmness, discoloration, swelling, itching, bruising, tenderness, and bumps at the injection sites. These symptoms will subside within 2-4 weeks, and are generally mild to moderate in nature. Having complementary skin rejuvenation treatments (i.e. chemical peels, microdermabrasion, photofacials) performed in conjunction with VOLUMA can amplify and maximize your skin-enhancing results. Botox® (or Dysport) injections can also serve as an excellent complement to VOLUMA, as each injectable is specifically formulated to address a different type of wrinkle, and when performed together, these treatments can effectively revitalize the appearance of the entire face. Dr. Q and the trained technicians at Dr. Q Plastic Surgery work tirelessly to create a warm, comfortable atmosphere for your aesthetic enhancement experience. Dr. Q takes the time to ensure that each patient understands all of their treatment options, and will ensure that you are prepared for a safe and successful VOLUMA procedure. If you would like additional information about having your VOLUMA treatment performed at Dr. Q Plastic Surgery, please contact our office today. We look forward to speaking with you, and to scheduling your initial consultation with Dr. Q.